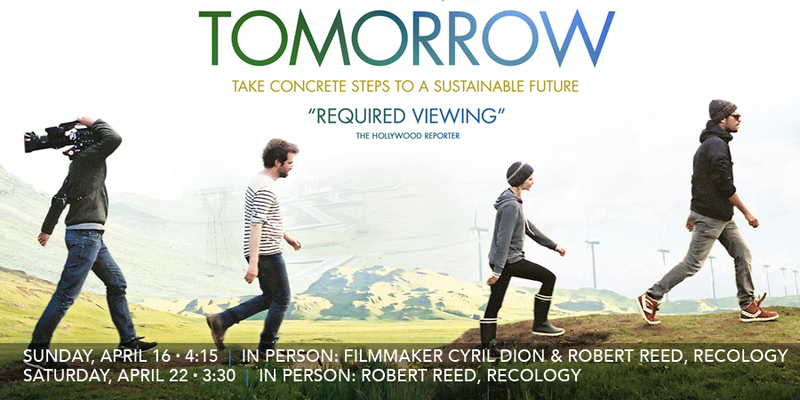 Sustainable Fairfax is thrilled to be the Community Partner for the showing of “Tomorrow” at the Smith Rafael Film Center on Saturday, April 22nd at 3:30pm followed by a discussion with the filmmaker. Mahatma Gandhi said, “You must be the change you want to see in the world,” and in this film (which won the French César for Best Documentary), co-filmmakers Cyril Dion and actor-director Mélanie Laurent travel ten countries encountering individuals and communities who have taken environmental sustainability into their own hands. From the urban farms of Detroit to an English town that encourages local spending by minting its own David Bowie currency, and from a completely sustainable village in southern India to the progressive schools of Finland, the filmmakers introduce us to people making inspiring differences in the fields of food, energy, finance, democracy and education. In English and in French with English subtitles. Writer: Cyril Dion. Narrators/Directors: Mélanie Laurent, Cyril Dion. (France 2016) 115 min. plus discussion.